Home / Motorola / News / Motorola cars are taking over Russia! 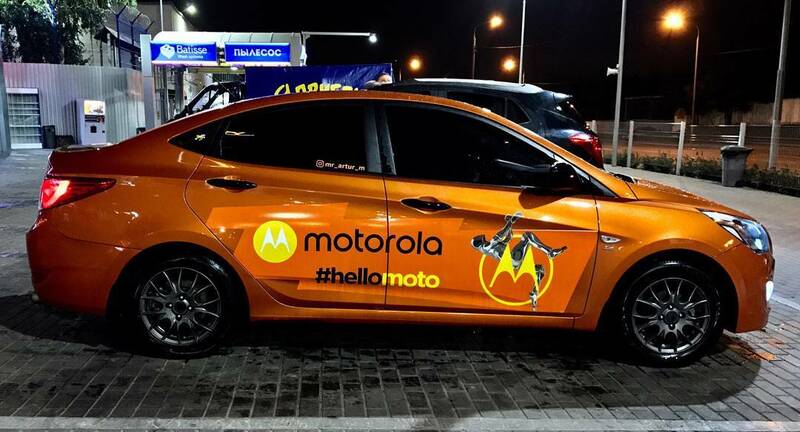 Motorola cars are taking over Russia! Back in June, Motorola introduced itself back into the Russian market, promising it would make a big spash into that important market for the company. Motorola launched all its portfolio and started promoting the brand. Moscow is now full of Motorola cars. You read that right. The company is promoting its brand with advertisements in many cars that go around the city. We find this amazing, because this kind of advertising hadn't been seen in Motorola for decades.